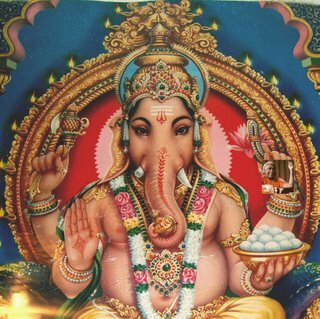 Ganesh is the elephant headed son of Siva and Parvati. 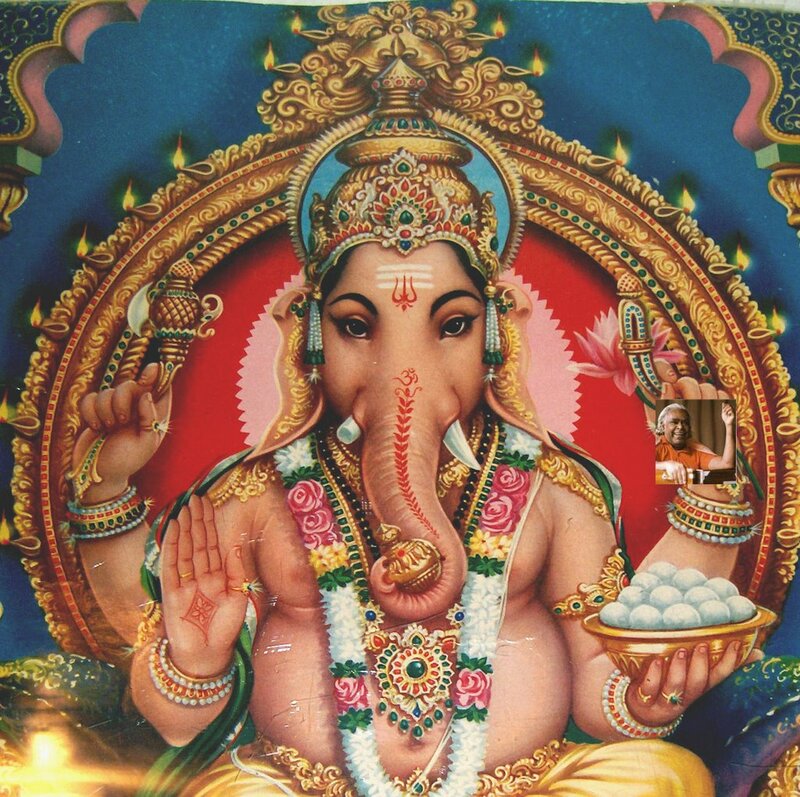 He is the remover of obstacles, and yogis invoke him at the beginning of a project to help insure success. 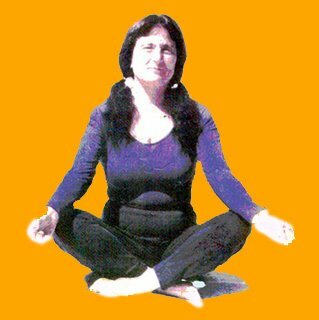 I have been practicing Hatha Yoga steadily since 1975 and teaching since 1981. I learned yoga most intensively from Swami Vishnudevananda of Val Morin, Quebec, Canada (originally from India) and his followers. Swam Vishnu's guru (teacher) was India's Swami Sivananda, so most of the yoga I practice and teach is called “Sivananda yoga.” I also introduce students to some moves I learned from other teachers over the years. There are many, many styles of yoga, and all of them are wonderful! I attribute nearly everything I like about myself to my practice of yoga, which keeps me physically strong, emotionally open and creative, and opens doors into spiritual realms of being.